Activity in the voluntary markets in 2016 pushed us over the 1 billion tonnes transacted mark, according to Ecosystem Marketplace’s newly released State of Voluntary Carbon Markets 2017. Expect more market-based data next month as partners introduce a Europe-focused initiative. 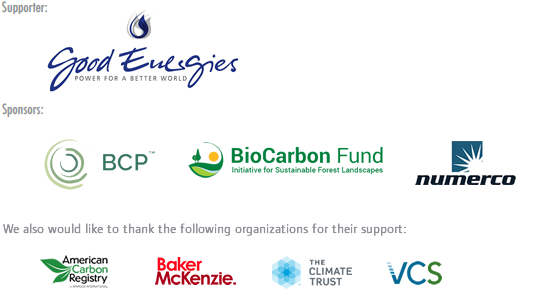 Meanwhile, the BioCarbon Fund announces new finance for Ethiopia’s REDD+ project and Australian tour buses go carbon neutral. This article has been adapted from our monthly Carbon Chronicle newsletter. Interested in carbon markets and climate finance? Subscribe to receive the Carbon Chronicle in your inbox. 26 May 2017 | Mid-year climate talks that wrapped up a week ago were full of their usual drama and intrigue. Buzzworthy news included new research revealing China and India have beaten their Paris Agreement targets and have plenty of room to ratchet up ambition. Voluntary suppliers transacted 63 million tons of carbon dioxide equivalent for a total market value of $191.3 million in 2016. While the overall number of offsets bought and sold fell 24% from 2015, it pushed us over the 1 billion tonnes transacted benchmark. The lower volumes may be attributed to classic ups and downs in the voluntary markets (we’ve historically tracked average prices for as little as $3 a tonne to over $7 a tonne), but also perhaps some buyers took a wait and see approach. The year was a time of transition as countries took the first steps toward figuring out how to implement and ultimately achieve goals laid out in the Paris Agreement. In terms of leading project types, perhaps it’s unsurprising that the majority of offsets sold came from Reduced Emissions from Deforestation and Forest Degradation (REDD+) and wind projects as they’ve held the lead the past few years. Landfill methane projects followed as another top project type. This year’s report also reveals the voluntary carbon market is indeed a buyer’s market as organizations selling carbon offsets reported 56.2 MtCO2e of unsold offsets in their portfolios. Since there is no centralized marketplace, finding buyers for carbon offsets can be an exercise in patience and persistence, writes Kelley Hamrick, a Senior Associate at Ecosystem Marketplace and the report author. If the sparse findings listed here leave you with a lot of questions and few answers, perhaps you’ll be interested in two webinars we’re hosting on June 6th and 7th for a more detailed look at the findings. For more resources and to download the free report, visit this page. While Unlocking Potential is the latest installment of an annual global report tracking voluntary carbon market activity, we’re also unveiling a report in June that showcases voluntary carbon market activity happening solely in European countries. It’s first-of-its-kind market outlook research for Europe, which will launch at a June 15th event in Rome along with reports focusing on biodiversity markets and watershed investments in Europe. “The reports are an attempt to benchmark current status and trends of market-based mechanisms for conserving ecosystems in Europe, and identify where there might be opportunities or challenges for entrepreneurs,” explains Genevieve Bennett, a Senior Associate at Ecosystem Marketplace. This research is part of a new public-private initiative called ECOSTAR that will also officially launch on June 15th. Essentially, there is a gap in entrepreneurship training for nature-based businesses and a consortium of universities, researchers, impact investors and businesspeople set out to change that. ECOSTAR, which is a university-business hub that links the world of markets to that of ecosystem services science, is their solution. “ECOSTAR is about turning research into action,” said Alessandro Leonardi, an ECOSTAR project lead. It’s about transferring knowledge into real on-the-ground solutions for economic development that works with nature instead of against it. Working with nature is now an absolute imperative. The earth surpassed 400 parts per million of carbon in the atmosphere in 2016, which means that everyone, from individuals to entire countries, has a role to play in the fight against climate change. As Forest Trends Founding President and CEO Michael Jenkins writes in the first few pages of Unlocking Potential, it’s all hands-on deck in a post-400 ppm world. Also, a special thanks to our supporters and sponsors. This report would not have been possible without your generosity and commitment. So thank you. More news about carbon finance is summarized below, so keep reading! Will Solutions, a Canadian carbon offset developer, recently inked a multi-year deal with BMO Financial Group to sell Will’s voluntary carbon units. BMO achieved business-wide carbon neutrality in 2010 reducing energy use internally and purchasing carbon credits from the Greening Canada Fund. Verified under the Verified Carbon Standard, Will’s Quebec Sustainable Community project aggregates emission reductions from thousands of micro-projects in the area working with small and medium-sized businesses. “BMO has a strong client base among the SMEs in Quebec and we are proud to support their voluntary initiatives,” said BMO’s Mario Rigante. Perhaps obviously, Martin Clermont, CEO of Will Solutions, is also pleased with the agreement saying it’s clear recognition of the quality of its emissions reduction projects. Read Will Solutions’ press release for details. Hydrodec, a natural resource company with re-refining industry waste technology, announced its first carbon credit trade. The American Carbon Registry approved its patented technology as a carbon offset project in the voluntary market last year. The technology generates offsets through the re-refining of used transformer oil, which is normally incinerated or disposed of in other ways. The ACR approved 165,000 credits – and this is the first sale for a few thousand of those vintage credits. While this sale is nominal in value, company executives do expect to generate 50,000 – 60,000 tonnes of offsets going forward on a yearly basis, which they think could earn up to $5 a tonne. Get details at Alliance News. Fantastic Aussie Tours, a vehicle operator known for its bright red double-decker buses, is serious about reducing its emissions. The company joined the United Nations’ Climate Neutral Now initiative, and announced earlier this month it’s officially carbon neutral. Officials say the company reduced emissions internally and purchased offsets from projects such as Yarra Yarra Biodiversity and a solar water heating program in India, both Gold Standard certified. The vehicle operator also supports the Bus Rapid Transport system in Zhengzhou, China, which features a hybrid fleet and electric buses and reduces emissions by 40 – 60 percent. Both the program in India and the Zhengzhou system fall under the UN’s Climate Neutral Now initiative. The Blue Mountains Gazette has more. Earlier this month, two California legislators issued a bill meant to extend the state’s cap-and-trade system beyond 2020. It’s an ambitious redesign. Under the proposal, a post-2020 carbon trading program would be completely new: meaning allowances from the old system wouldn’t transfer. Carbon offsets would not be permitted at all. This bill passing in its current form, however, is indeed a long shot, market experts say. Expect tussles, surprises and compromises along the way. Jurisdictions such as Quebec and Ontario, meanwhile, are wondering if they have what it takes to be part of this new ambitious system. In order to link with California, they must operate at the same level and have the same minimum carbon price. Vox has a very detailed breakdown of the proposal. Cleantech Canada also has coverage. Australia’s Clean Energy Regulatory issued 451,811 new Australian Carbon Credit Units (ACCUs). To date, the country has issued nearly 40 million offsets with the government purchasing the lion’s share. According to a submission to the federal government’s climate change policy review, South Australia is one state in favor of offsets and a trading scheme for the power sector though officials want credits to come mainly from domestic offset projects. In another submission to the central government, a business group proposed bundling carbon offsets with energy-intensive commodity exports in order to maintain competitive as Paris Agreement objectives alter global trade. This proposal was one of several the Carbon Market Institute recommended the feds follow to comply with its Paris Agreement pledge. Read more at Carbon Pulse (subscription required). On May 11, the Netherlands unveiled it GreenDeal program, which encourages cities, companies and individuals to shrink their own carbon footprints by supporting home-grown voluntary carbon projects. It’s a pilot national carbon market, one that the Dutch government believes people will support and even purchase more expensive offsets from because they’re generated domestically. The program is ultimately meant to prepare entities for an era when emissions in most sectors are capped, and the offset projects are reducing emissions in hard-to-reach spaces like agriculture and forestry. The Netherlands isn’t the only nation leveraging voluntary markets lately. China’s Sichuan United Environment Exchange is planning to incentivize groups to voluntarily offset emissions due to policy uncertainty in the compliance realm. Keep reading about the Netherlands’ new program at Ecosystem Marketplace. The islands of California’s Sacramento-San Joaquin Delta are just one catastrophe away – an intense storm, earthquake, rising sea level – from drowning. The sinking islands would destroy a multi-billion dollar agriculture industry along with drinking water for millions of Californians through land loss and contamination. A group of conservationists have their fingers crossed they’ve come up with a viable solution. Wetlands can reverse land sinkage, and they also absorb tons of carbon. Working with the American Carbon Registry (ACR), this group crafted a wetlands methodology enabling island landowners to tap carbon finance to restore wetlands, which ACR approved in late April. Developers plan to establish projects for voluntary markets that they hope the state’s compliance market will ultimately accept. Read the whole story at Ecosystem Marketplace. A REDD+ (Reduced Emissions from Deforestation and Forest Degradation) project in Ethiopia received a boost earlier this month as the World Bank’s BioCarbon Fund announced $18 million in funding. The funds will support community-centered activities that reduce forest loss and land-use emissions within the Oromia Forested Landscape Program. According to a press release, this is the first operation the World Bank financed that targets land-based emission reductions across an entire jurisdiction. Project coordinators say the money will also aid efforts to enhance carbon stocks in deforestation hotspots. The new funds are expected to significantly aid the region’s efforts in slowing deforestation, and if successful, may unlock a BioCarbon Fund commitment to purchase 10 million tonnes of emission reductions. Read more at New Business Ethiopia. The inclusiveness of the Paris Agreement enables non-state actors like companies to play a bigger role, and a recent policy brief from the Gold Standard recommends corporates reduce emissions internally and then finance emissions elsewhere in a “reduce within, finance beyond” approach. However, in order for this to happen, offsetting must first overcome two key challenges, authors say. The first has to do with the stigma attached to offsetting that says it’s basically permission to “pollute now, offset later.” The second challenge is the risk of double counting as the Paris Agreement comes into force. The Gold Standard has more. Based in San Francisco, the Conservation and Stewardship Director will manage the acquisition of new conservation easements and the stewardship of those already in the portfolio. Key responsibilities include identifying and cultivating partnerships through outreach with private forestland owners, foresters and public agencies. S/he will represent the Pacific Forest Trust at stakeholder meetings and in other public settings. Qualified candidates will have significant experience with conservtion easements and excellent communication skills to effectively engage and negotiatie terms with various parties. Management experience is also expected as is an advanced degree or equivalent professional training in natural resource management, conservation real estate or law. Based in Grand Junction, Colorado, the Greenhouse Gas Professional will perform high level GHG verifications/consulting for clients. This involves all aspects of GHG accounting: carbon offset projects, mandatory reporting and corporate inventories. Successful candidates will have strong written and verbal communications skills and the ability to work independently. S/he will also have at least three years of experience with GHG verifications and/or developing GHG inventories and projects. Advanced skills in standard software packages such as Excel and PowerPoint are expected as is a bachelor’s degree in engineering or related field. Based in San Francisco, the Center for Resource Solutions is looking for an experienced attorney to manage legal matters for the organization, which focuses on promoting policy and market based solutions to advance sustainable energy. On a part-time basis, s/he will provide legal advice to management and lead the process to update and create standard form contracts for certification programs. The General Counsel is also responsible for representing the organization in legal proceedings and serve as a broad-based resource for staff. Qualified candidates will possess five years of contract law or intellectual property experience and excellent commercial contract drafting and negotiation skills.